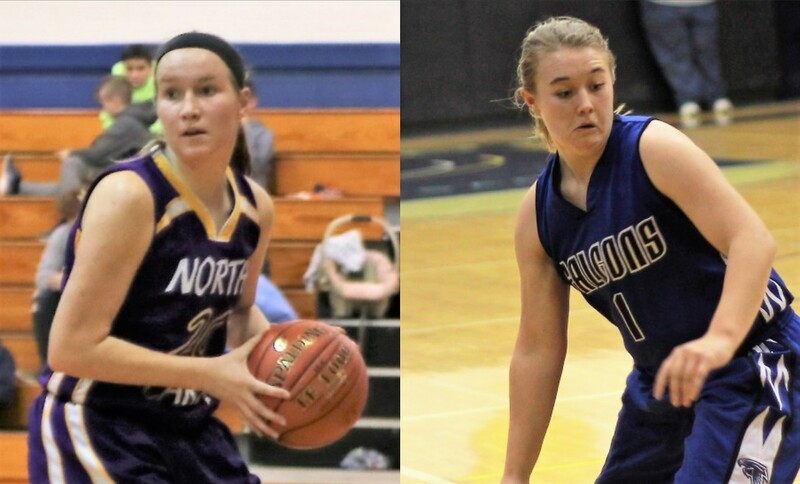 KNOX, Pa. – North Clarion will be in search of its third straight KSAC Title when it takes on A-C Valley in the KSAC Girls’ Basketball Title Game from Keystone High School, and all the action can be heard right here on Laurel Eye Clinic Friday Night Hoops. This is a rematch of last year’s KSAC Title Game won by North Clarion, 54-49. The She-Wolves, who are playing in their fourth consecutive KSAC Title Game, beat Moniteau, 44-43, in 2017, after losing to Karns City, 46-31, in 2016. 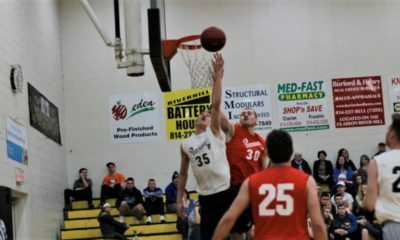 A-C Valley won the regular-season meeting between the teams January 18, 56-38, at A-C Valley. That game was tied at 15 after the first quarter before A-C Valley outscored North Clarion, 15-3, in the second quarter to take control of the game. Kylee Eaton paced the Lady Falcons with 15 points and 15 rebounds, while Olivia Boocks added 12 points, six steals and three rebounds and Cami McNany 13 points, four assists, three steals and two boards. Andrea Meals also scored nine points and hauled down five rebounds, and Rachel Cullen had seven points. Abby Gatesman paced North Clarion with 10 points, 11 rebounds and four assists. Mackenzie Bauer added 10 tallies, Haley Sherman chipped in eight points and seven rebounds and Gabby Carll scored seven points. Turnovers proved costly for North Clarion, as the She-Wolves gave the ball away 16 times, including 13 in the middle two quarters. A-C Valley had just five turnovers in the contest. 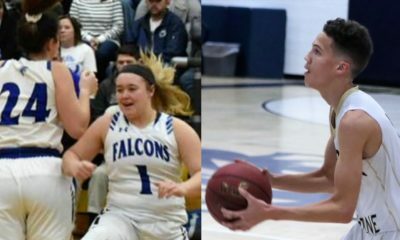 Both teams are back in the title game despite losing first-team All American Awards & Engraving D9Sports.com All-District 9 players – Ellie Thompson for A-C Valley and Player of the Year Tori Obenrader for North Clarion – who are now playing NCAA Division II basketball in the PSAC. 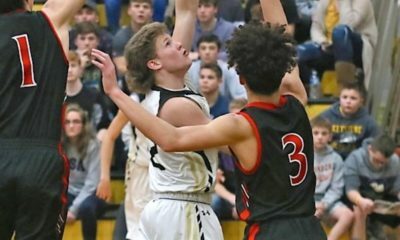 A-C Valley finished the regular season 18-3 overall and 10-0 in the KSAC South, while North Clarion went 16-5 overall and 6-0 in the KSAC North. The Lady Falcons, coached by Dave Sherman, are led by a trio of players averaging in double digits. McNany is A-C Valley’s leading scorer at 13.2 points per game with Boocks adding 12.8 ppg and Eaton 11.9 ppg. Meals chips in 7.1 ppg. 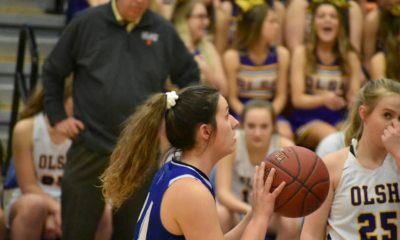 North Clarion, under the direction of head coach Terry Dreihaup, has won the past two D9 Class 1A titles including last year over A-C Valley, are paced by Gatesman’s 13.9 ppg with Bauer adding 10.9 ppg, Sherman 7.5 ppg and Gabby Schmader 7.1 ppg. Both teams will advance to the District 9 playoffs. North Clarion in Class 1A and A-C Valley in Class 2A. This is the 13th edition of the KSAC Title Game. Karns City and Cranberry have won the most with three each followed by North Clarion with two. Union, Keystone, West Forest and Clarion have each won once.